Searching for used Trucks in Springfield Ohio? That can be difficult when you are trying to find the right one for you. At 56 Auto Sales London we can make that task simpler by providing you with a variety of trucks to choose from, which are also affordable. We have everything from Standard trucks, 4x4's, diesel trucks, commercial vehicles as well as dump trucks and lift trucks. No need to stress over where to find what you are looking for any longer. A truck is one of those vehicle purchases that have to have what you need, and it is never fun or sometimes even within your budget to add something else to your truck. Whether you're looking for an older vehicle or a more recent year truck, Getting it right is what we are here to help you do. Our knowledgeable staff is here to help you make the right choice when searching for your truck. We also have cars, SUV's, and Minivans to choose from as well. So whatever you are looking for we are here to help ease that process and make your truck, or car, buying experience a good one. Featured here is a 2008 Chevrolet Avalanche is a Crew cab pickup truck. It has four doors, a 4-speed automatic super-duty transmission, and an 8cyl.,5.3L, 310HP Engine. The exterior is White Diamond, and the Interior is Ebony Leather. If you are looking for a working truck or if you are retired and want one just for everyday use, this is a nice truck. 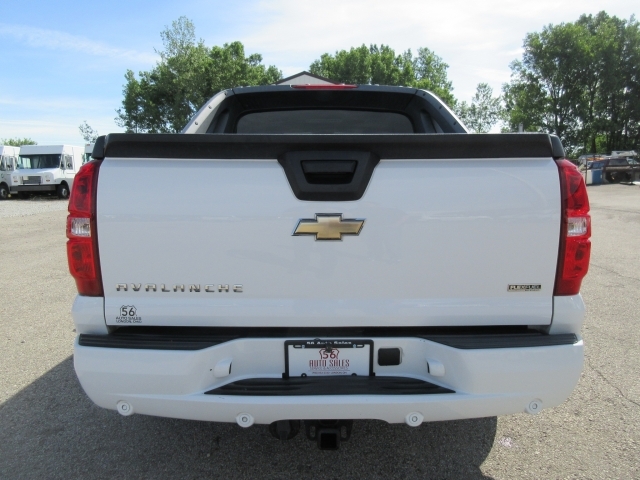 This 2008 Chevrolet Avalanche even comes with a sunroof! If you have been searching for a car for sale near you, then look no longer. At 56 Auto Sales London, this truck is ready to drive home today, all it needs is a new owner. Some of the features on this truck are heated seats, which are also leather, it has cruise control, a CD changer, power windows, power locks, power steering, power mirrors, and power driver's seat. It comes with an Onboard Hands-Free communications system, Front tow hooks, Keyless entry. This Truck has a Roof / Luggage Rack, Locking Rear Differential, Memory Seats, Garage Door Opener, Flexible Fuel Capability. Safety features are important, and this used truck near you has excellent safety features as well. It comes with electronic stability control, Anti-Lock Brakes, Integrated Turn Signal Mirrors, Drivers Air Bag, Passenger Air Bag, Heated Mirrors. 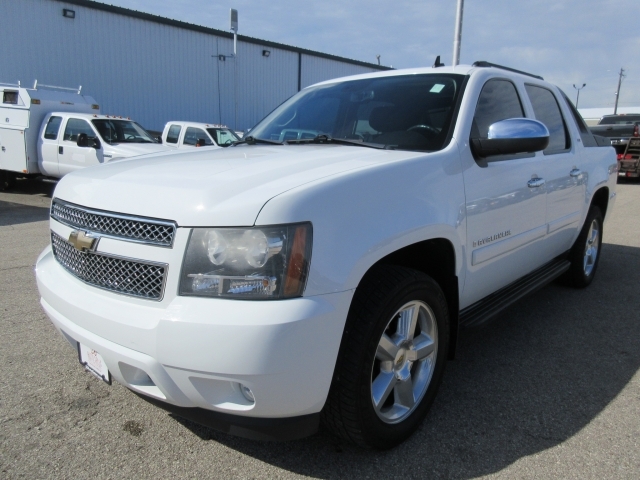 This 2008 Chevrolet Avalanche has many other nice features too many to name. You can also have peace of mind when purchasing this used truck, and it comes with a CarFax report which is available upon request.